Hey guys! I've had a busy few days. My sister just left for college for the first time- so naturally our house was a mess! I'm linking up with Kathryn @ Book Date to update you all on my reading. 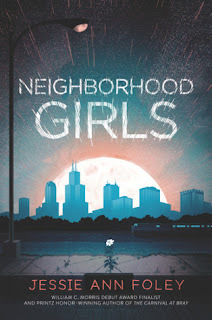 I finished reading a review book "Neighborhood Girls" by Jessie Ann Foley. I absolutely loved it- the review will be coming out sometime in early September. I didn't finish anything else this week, but I did start reading another review book. "Blood and Ink" by Stephen Davies is a story of teen radicalization. 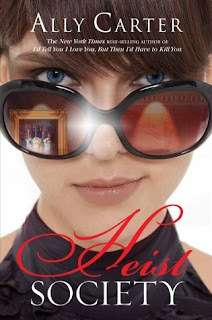 I began reading a light, non-review book "Heist Society" by Ally Carter. It seems like just the quick read I need now! Hope you guys all had great reading weeks too! Let me know all about your week in the comments below. 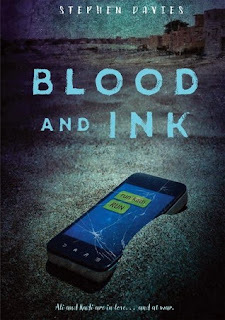 Blood and Ink looks interesting. I hope you enjoy reading this week. I'm enjoying Blood and Ink so far. It has the tone typical of a book set in India or the Arab world, but I like the characterization. I liked The Heist Society when I read it. Nothing like spies and thieves for a good time! Come see my week here. Happy reading! That's true- a bit of light reading always cheers me up! I'm looking forward to your review of "Neighborhood girls!" Thanks Melinda! Have a great reading week! I am always happy to slot in a non review book, it is reading with no pressure! Heist Society's been on my wishlist for about as long as it's been in print. Come see what I'm reading. It's the same thing for me! I feel like I only get around to reading these books when I'm swamped with school work or review books. I always thought the Heist Society books looked fun. 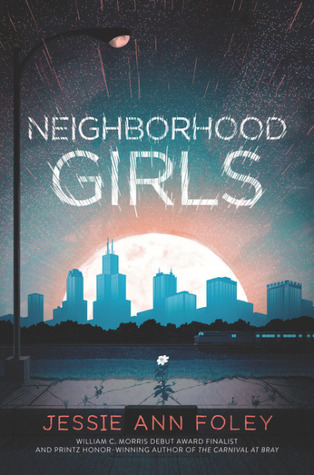 Neighborhood Girls does look good too. I really liked Neighborhood Girls! I recommend it- once its published!